Winter is only halfway done, but while they’ve been stuck indoors, entrepreneurs have been busy churning out some amazing new business concepts.Each day, we scour the web for these daily million-dollar ideas and ask you to vote for them. Here is a list of the fifteen hottest ones we’ve seen this winter, based on readers’ votes. Reader Poll: 55% think this is brilliant. The idea: Can't remember if you committed a sin today? Confession: A Roman Catholic App will not only identify your wrongdoings, it will also keep track of your sinning ways. Users can check off questions such as 'Have I encouraged anyone to have an abortion?' and 'Have I abused alcohol or drugs?' to make sure nothing is forgotten when they step into the confessional booth. And in case you don't know what to do once you're there, it also provides the proper responses for the process of confession itself. Why this idea is brilliant: Tech savvy Christians may snap up this app, which its designers say was approved by senior church officials in the US and the UK. According to a press release, it was created in response to Pope Benedict's recent message encouraging Christians to embrace digital technology. Who knew an app would be your ticket to salvation? Reader Poll: 59% think this is brilliant. 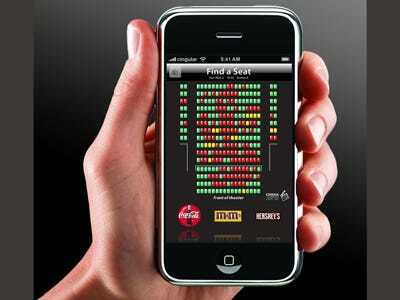 The idea: If you're late to a movie, this app will help you find a seat in a dark movie theatre. Chances are this has happened to you: arriving late, you peer into the dark theatre and pace the aisles or submit yourself to a sore neck in the front row. Dynamic Occupancy Monitoring (patent pending) could save you from all that by indicating which seats are still empty. The program, which can be displayed on an outside screen or as an app, shows a replica of the theatre seats. A green dot means the seat is available, yellow means they're reserved by people who have gotten up and left an item behind and red dots are occupied seats. 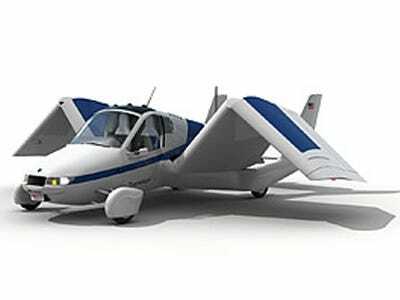 The inventor declined to explain how the technology works, however he said a few companies have expressed interest in his idea and he hopes to eventually see it used in theatres. Why it's brilliant: Latecomers will appreciate being able to sit down quickly and theatre owners may sell more tickets if customers know there are an ample number of available seats . On the flip side, knowing that only the front row is available could be a huge turnoff, which theatre owners will probably want to address. Reader Poll: 60% think this is brilliant. The idea: Embedding motion sensors and pattern-recognition software inside a basketball so that it can calculate bounces, ball spin rate, and velocity down to the millisecond. 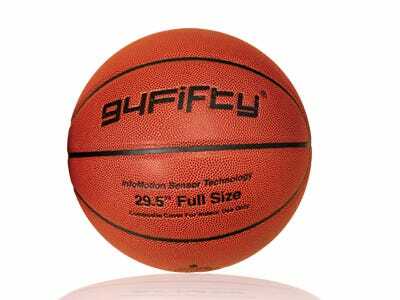 The 94Fifty basketball wirelessly transmits data to a computer, which produces a report of each shot and an analysis of your performance. Researchers are licensing the chip to make other smart sporting goods as well, reports Popular Science. A soccer ball will roll out next year, a golf club will generate stroke analysis, and a baseball bat may break down swing mechanics. Prices for the ball and software are listed online, starting at $1,695 for 2 balls for a team of 12 including a $59.95 annual data management fee per player. Why it's brilliant: Practice makes perfect, and by measuring patterns in how a player handles a ball, coaches get a better understanding of areas the player needs to improve on. This way, if you're a lousy athlete, at least you'll know why. Reader Poll: 68% think this is brilliant. The Idea: Turn lunch into a networking opportunity by filling out a profile and your lunch preferences on GoGrabLunch.com. Once users sign up, GoGrabLunch.com provides a list of matching members who have open lunch times in your area. Members then choose who to grab lunch with or enter their own lunch schedule, pick the restaurant and wait for another member to join their open lunch slot. Why it's brilliant: Even if you only have 30 minutes, that's enough time to have a face-to-face conversation and swap cards with someone whom you might never have met otherwise. The only bummer is you might have a hard time finding a match unless you're in Tennessee. The site was launched in November and most of its members are located in the site's home state. The creators say they are still expanding and have registered users in 28 cities across the US as well as members in Malaysia, Canada, Germany, and Australia. Reader Poll: 69.1% think this is brilliant. The Idea: Airport restaurant operator OTG Management and Delta Airlines have teamed up to offer travellers a new way to get their meals at the airport. At New York's JFK and LaGuardia airports, travellers can now use Apple iPad kiosks at departure gates to order meals from participating airport restaurants. Meals are delivered within 10 minutes. Customers are informed of an exact meal delivery time so they can plan to feast accordingly. The airport iPad meal delivery service will be available at multiple gates in JFK and LaGuardia by next year. 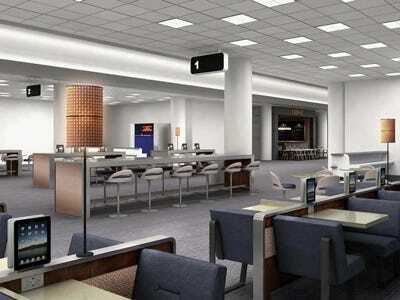 The new initiative is part of a series of investments Delta is making in the NY market, including an ambitious $1.2 billion plan to improve and expand JFK Terminal 4. Other airports in other parts of the US are soon to follow. Why it's brilliant: personalised food delivery at airports saves passengers a lot of time, and it allows them to pick out food they really want to eat without waiting in lines. Just relax at the gate, scroll through a list of food on the airport-provided iPads, and wait for the meal to arrive. This combination of technology and food delivery will improve the airport dining experience and get users to experience Apple's latest project first-hand. This sounds like a win-win. Reader Poll: 71.1% think this is brilliant. The Idea: Couples and roommates often set their alarm clocks for different times, which means someone is usually jarred awake prematurely. Avoid rudely waking the person next to you by using LARK Up, a silent alarm clock. LARK Up relies on two elements, an iPhone app and a custom wristband. 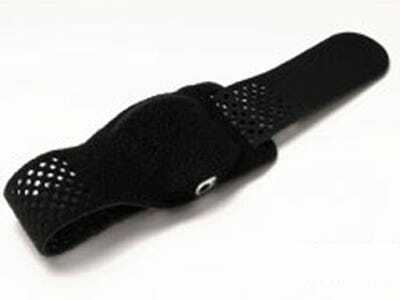 You place your iPhone in LARK's dock, and when your alarm goes off, the wristband emits silent vibrations to wake you. The app also includes a big snooze button for those who need just a few more minutes of sleep. Why it's brilliant: No one likes being woken up earlier than he or she needs to and a silent alarm seems like the perfect solution. It could also come in handy for those who sneak out of bed (just saying). LARK Up, which costs $99, is currently sold out. You can find out when the next shipment arrives by joining the waiting list on LARK's website. Reader Poll: 73% think this is brilliant. The idea: Instead of waiting on hold for an eternity, have someone else do it for you. All you have to do is type in the name of the company you are trying to reach and your phone number. FastCustomer, a new DC-based startup, will call you back as soon as it gets someone on the line. Why it's brilliant: Being on hold for half an hour while being told your call is 'extremely important to us' is an experience no one should ever have to live through. Using FastCustomer, calls to Verizon and MetLife's customer service departments came through within five minutes. 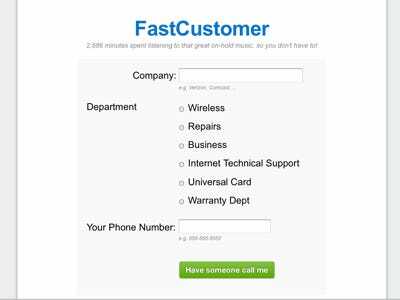 The only drawback: this service only works for phone numbers that are already registered on FastCustomer's site. The good news is they already have numerous companies such as Apple, AT&T, Geico, and Best Buy and you can suggest more here. We think this is a smart decision for any company with crawling customer service. Reader Poll: 74% think this is brilliant. The idea: An interactive 3D wall display that lets shoppers examine as many as 8,000 sneakers in a flash. Unveiled last week at the National Retail Federation's convention in New York, Intel partnered with Adidas to show off what the adiVerse Virtual Footwear Wall could do. The wall renders products in 3D, and lets shoppers rotate and zoom in on the shoes, and call up specs from a touch-screen display. Popular models can have accompanying video and additional information, like which shoes players wore at the World Cup. Whose idea: Designed by U.K. shop Start Creative. Why it's brilliant: With the wall installation, small retailers can turn blank walls into prime selling space by giving their customers access to an extensive inventory. The stores could also stock the actual shoes to serve as fit models. Unfortunately there will probably be a waiting period if stores need to order the desired shoes, but we can see this technology taking off with customers who want the latest models and don't mind the wait. Reader Poll: 75.5% think this is brilliant. The Idea: Take your office wherever you go with Openaire, a laptop carrying case that unfolds into a chair and work surface. 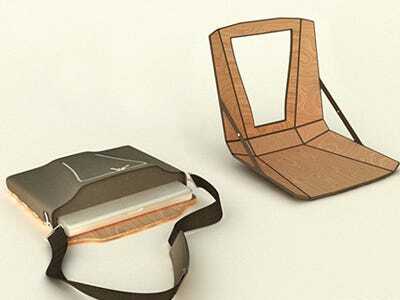 Here's how it works: the outer shell of this artsy looking bag opens up into the shape of a chair. Its panels are adjustable to make it more comfortable. The inner case, which acts as a protective sleeve for your laptop, can then be unfolded and transformed into a mobile desk. Panels on either side of the case can also be extended to provide a flat surface for a mouse. Why it's brilliant: When working outdoors, you can plop down in say, a park, and not worry about grass stains while using your laptop with a mouse or writing on your modified desk. Unfortunately pricing information is currently not available, but it's still a nifty idea. Reader Poll: 77.6% think this is brilliant. The Idea: A self-operating lawn mower that cuts the grass for you. It looks like a souped-up Roomba, but instead of sucking in dust, the Robomow trims your lawn, saving you the hassle of doing it yourself. 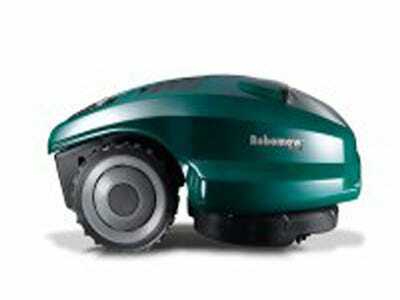 Depending on the size of your yard, the Robomow, which is about 25' long and 12' high, comes in several different models that can handle lawns ranging from 2,000 to 17,000 feet. It is also equipped with safety features, such as blades that turn off automatically when lifted and an alarm system in case a jealous neighbour tries to steal it. Whose idea: Udi Peless and Shai Abramson. Why it's brilliant: Sorry kids, but it looks like your days of mowing the lawn for chore money are numbered. Having spent countless hours shoving a heavy lawnmower around, we're glad someone finally came up with this timesaving device. Convenience doesn't come cheap, however. The website includes a list of vendors such as Amazon and Sam's Club and the cheapest one we could find was at Amazon for about $1,000. Then again, just watching this thing do our work for us could be worth it. Reader Poll: 78.5% think this is brilliant. The Idea: A bowl that can be flipped upside down or turned on its side and still keep its contents from spilling out. The secret behind the Gyro Bowl is an inner bowl that can rotate 360 degrees. So even if you knock the bowl over, the chances of making a mess are greatly reduced. The Gyro Bowl costs $14.99 + $9.99 P&H on the official website and includes a buy one, get one free deal. Each bowl also comes with a lid. 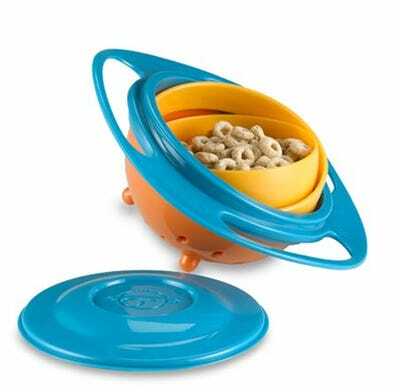 Why it's brilliant: In addition to holding snacks for kids, the Gyro Bowl, which is dishwasher safe, is also useful for storing loose items that are a pain to pick up like coins, paper clips, push pins, and nails. Plus, it looks cool and colourful. Reader Poll: 80% think this is brilliant. 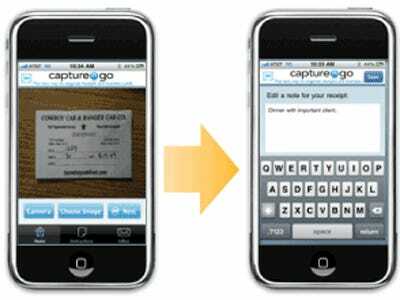 The idea: CapturenGo is a brilliant tool that lets you store pics of receipts, taken with your smartphone, in an online account. You can then use that data to create an Excel spreadsheet of your expenses. And the digital receipts are IRS-approved. Perfect for tax prep! Whose idea: Founder David Peskin has a background in financial services. Why it's brilliant: You can pay your taxes and manage your bank account online; digital expense reports are the next logical step. It's convenient, it's organised, and it's a whole lot easier than keeping a giant binder or drawer full of receipts. 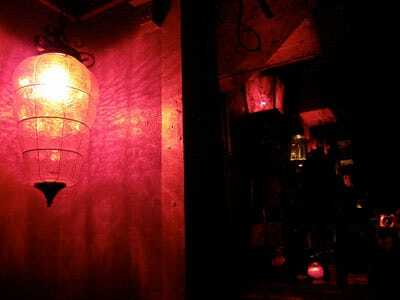 The only downside is that the app is only available for Blackberry and iPhone users. Reader Poll: 88% think this is brilliant. 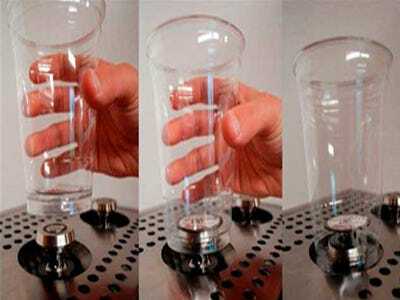 The Idea: A new way to pour draft beer that fills cups nine times faster than traditional methods and greatly reduces spillage. Reader Poll: 92% think this is brilliant. The idea: Instead of spending hours putting together a bibliography, simply scan the barcode of the books with this app and voila -- you have an instant list. Quick Cite, a 99-cent app that works on the iPhone and Android, automates the task of entering and formatting books used in theses and research reports. 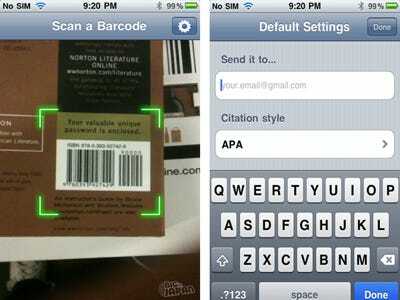 Here's how it works: After you scan a book's barcode with your smartphone, Quick Cite will email you a citation formatted to fit one of four common bibliographic styles: APA, MLA, Chicago, or IEEE. Whose idea: The app was developed over seven sleepless days by seven undergraduates at the University of Waterloo, reported Fast Company. Why it's brilliant: Even though a great number of sources are now online, PhD students and authors still rely on many books for their research. 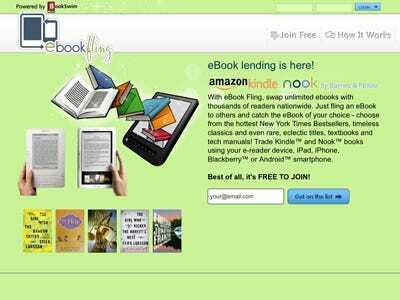 This app will help anyone who cites numerous books save hours of work. Just don't forget to proofread. The Chronicle of Higher Education found a few glitches. Some books showed up as 'Cambridge Univ Pr.,' instead of 'Cambridge University Press,' for instance. Then again, we'll take those five minutes of proofreading versus the alternative.